Ron Otto and Aaron “Duke” Pursley don’t make rifles quickly; they make them right. Otto handles the fabrication of each firearm, and Pursley, co-owner and engraver, turns them into inimitable works of art. “He makes it a class act,” laughs Otto. Pursley has been an engraver since high school. Back then, it was work done with a hammer and chisel, and something people did as a hobby, not a profession. From humble roots, Pursley developed into an Engravers Guild Master Engraver, all the while becoming a skilled marksman as well. While competing at the Quigley Buffalo Rifle Match in 1996, Otto and Pursley noticed that the younger and leaner contestants were having difficulty holding their black powder rifles steady. This inspired them to create the first “Little Sharps Rifle,” a three-quarter scale .38-55 modeled after the famous Sharps Rifle of the 1880s. Since then, Otto and Pursley have built approximately seventy Little Sharps. They’ve developed eleven standard calibers, and personalization has included everything from engraved initials to gold inlay. 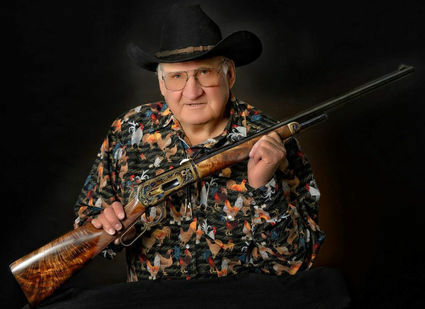 In 2016, Pursley’s exceptional firearm engraving earned him a place in the Montana Cowboy Hall of Fame. He says he may retire when they finish this run of orders (and when he does, Otto will call it quits too), but for now, he’s still hard at work designing elaborate Little Sharps. “We’ve been at it about 25 years now. It’s been fun,” says Pursley.